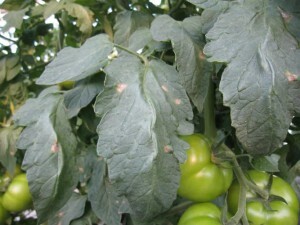 Powdery mildew is one of the most common diseases of tomatoes grown in greenhouses and high tunnels. 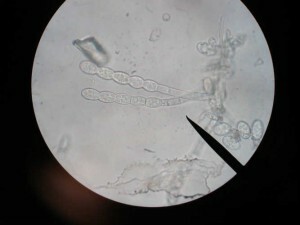 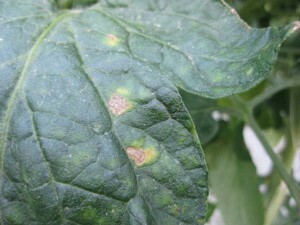 The disease occurs primarily on foliage, resulting in reduced photosynthetic activity. 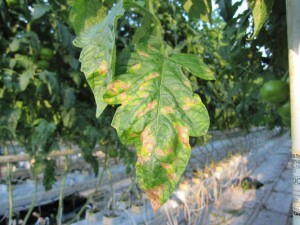 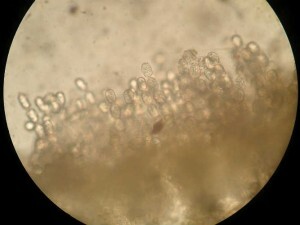 Symptoms differ depending on which pathogen species is present but in general, a flat white cottony mycelium covers all infected leaves and stems of the plant, which leads to premature leaf drop and a reduction in fruit size and yield. 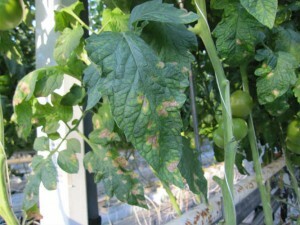 Removal and sanitation of infected plants has proven to be an effective management strategy for powdery mildew.